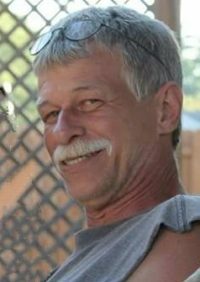 Robert W. “Bob” White – 61 – of 11 Ashland Ave., Elmira Heights, NY died Monday afternoon (July 23, 2018) at Elcor Nursing & Rehabilitation Center in Horseheads, following a long illness. Born in Corning, NY on February 28, 1957, he was the son of George & Nanna (Norton) White. Bob grew up in Corning and attended Corning West High School. Throughout the years he had been self employed as a carpenter and mechanic. He enjoyed hunting, fishing & camping and also enjoyed working in his vegetable garden. Surviving are his children, Jimmy White, Shannon White, Robert White & Sherry White; 5 sisters, Jean Clark, Charlotte Dominic, Carol Shaul, Barbara Jones and Malene Pashalidis; 4 brothers, David White, George White, Donald White and Thomas White with whom he resided; several grandchildren, nieces & nephews. At Bob’s request there will be no calling hours. Private Services will be held at the convenience of the family. Memorial contributions in Bob’s name may be made to a charity of the donor’s choice.